Cats can get off their food for various reasons ranging from stress and illness to changes in their food preferences. 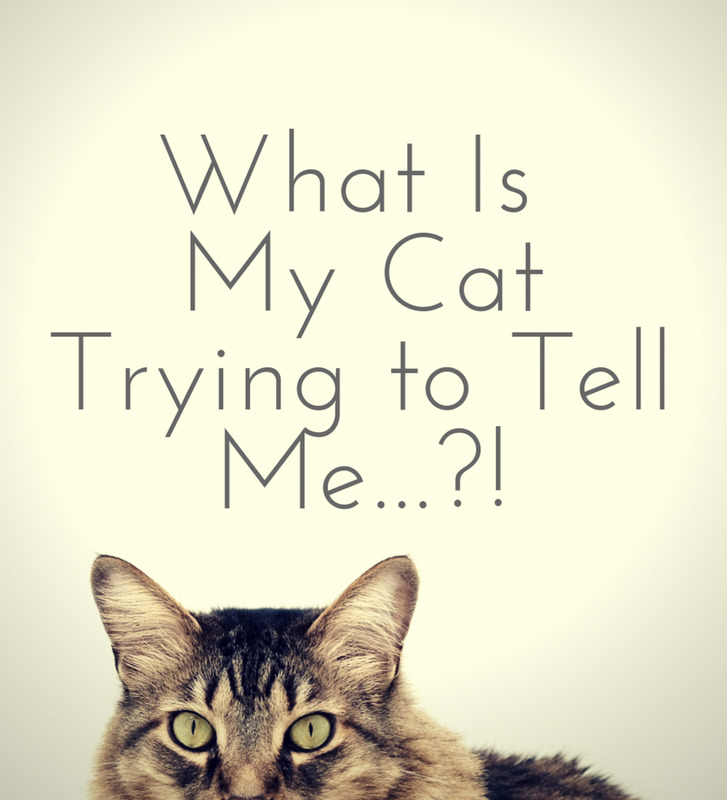 It is important to identify why your cat is not eating and then figure out ways to get it back on track. Here are some reasons that cats stop eating, what you can do, and tips for getting a cat to eat again. It is first important to note why your cat is not eating. Unlike dogs, cats sometimes won't eat, even if they are hungry. This can cause long-term health issues even if the original issue was not health related. If your cat is not eating because of stress, try to find ways to reduce the stressful environment. It might be that your cat needs a quiet place to eat where kids or other animals will not bother it. If you have more than one cat, one may be dominating the other one, causing the more timid one to not eat as often. This is easily remedied by placing the food in different locations or finding the timid cat a safe place to eat. Your vet can also prescribe anti-anxiety medication if none of these tips work for reducing your cat's stress. Very often a cat stops eating because of illness. 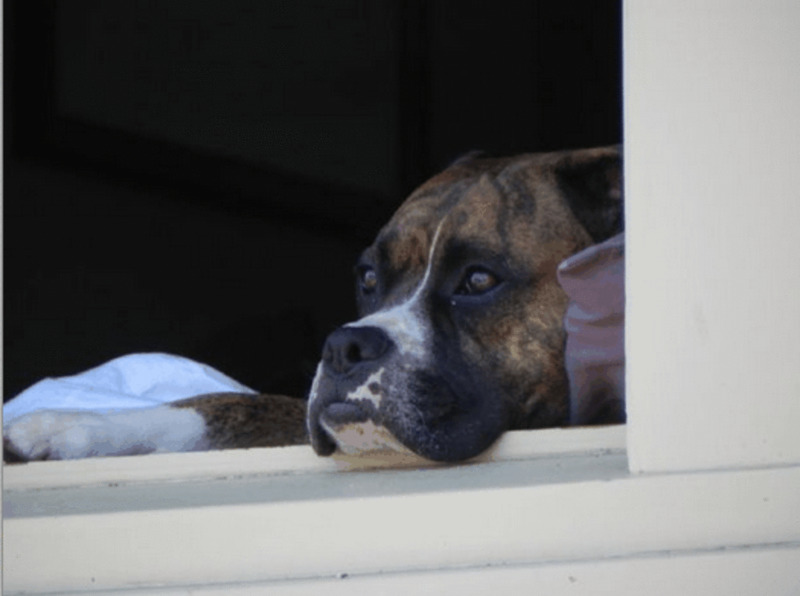 The reasons can range from something that is fixable to an issue that may prove terminal. 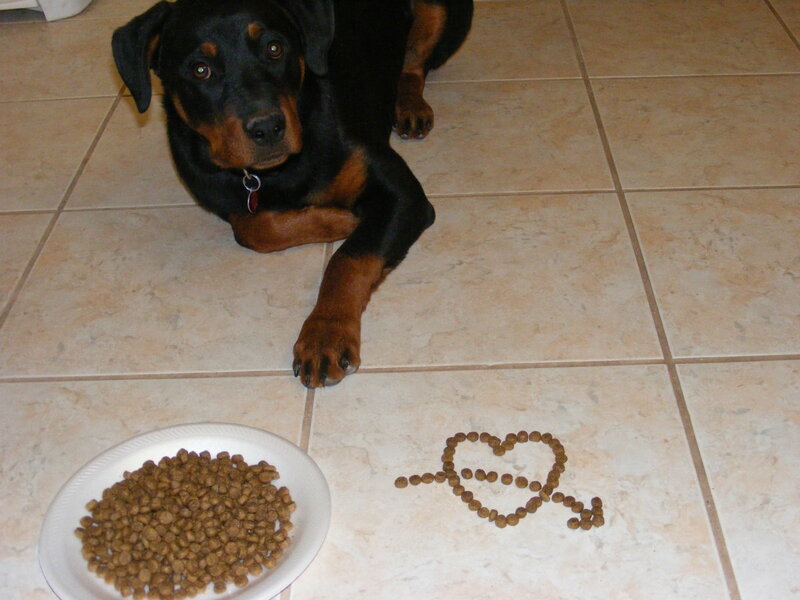 Only your vet can determine the cause of the appetite loss and if there is anything you can do about it. Even if the cat is seriously ill, you may still be able to prolong its life by either finding some food it will eat, or helping it to eat if the cat is unwilling to eat on its own. To get your cat to start eating again, you may first want to offer him or her something different. Purchase small cans or bags of different kinds of food--a sample size is good if you can find it. Offer them to your cat at different times in the day. He or she may be interested in the new kind of food and decide to start eating again. Remember to take it slow. If they haven't been eating for awhile it may take some time to get them back up to a regular serving size. Sometimes pouring a bit of tuna juice or chicken broth on the food may tempt the cat to try it. You can also put some on your hand or on your finger and offer it to them. See if they are wanting a bit of extra attention. This may get them started eating again. If your cat is still not eating, you may need to try to make it eat. 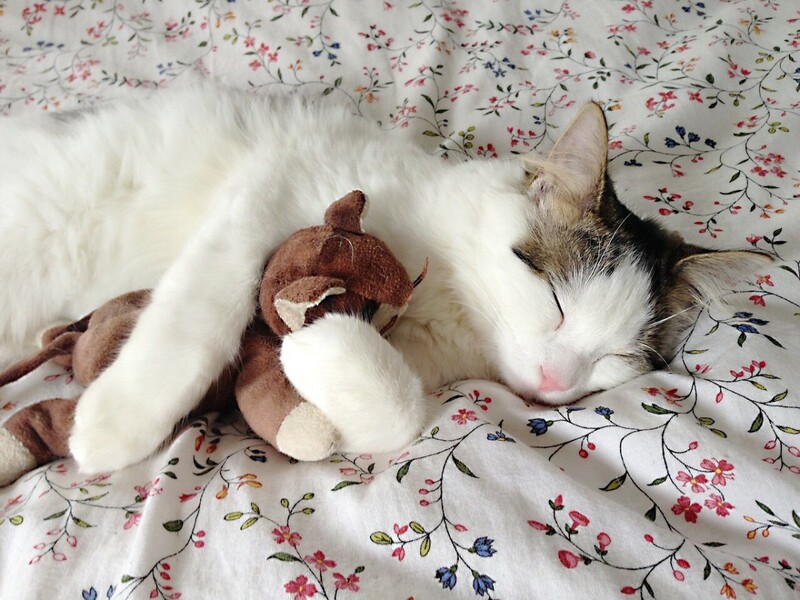 Cat anorexia can cause the animal to develop other issues. Severe weight loss puts a lot of strain on a cat's liver and can lead to other issues. You can make your cat eat by putting food in its mouth and making it swallow. 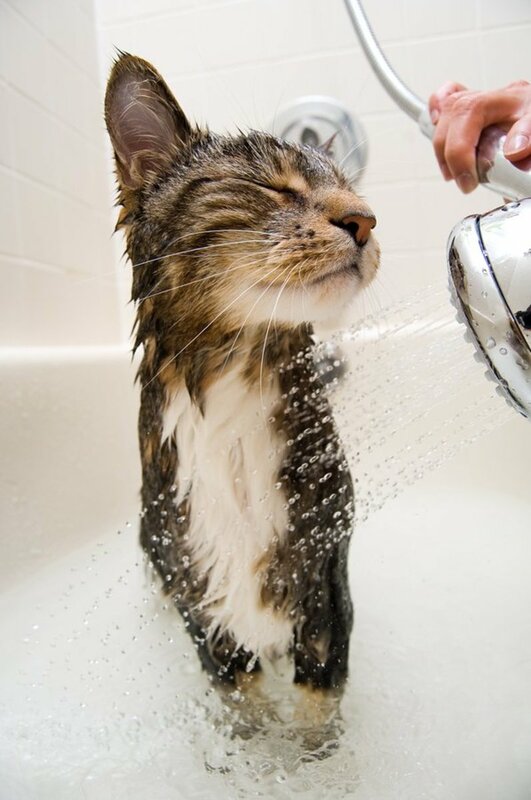 Before you do this you should speak with your vet and determine if this is the right step for you and your cat. If you do decide to make your cat eat, you will need to be very gentle and patient with the cat. It helps if you have a strong and trusting relationship with him or her. Go to a quiet area and talk calmly and reassuringly to the cat as you are feeding it. Here are the steps for feeding a cat who won't eat. 1. Take the cat in your lap and gently hold it with the spine against your stomach. If the cat is resistant, you may need to wrap it in a blanket or towel with only the head sticking out. 2. With one hand take a small amount of canned food and place it on the end of your pointer finger. Make sure the food is soft. Science Diet has softer adult foods or ask your vet for some Science Diet A/D. 3. 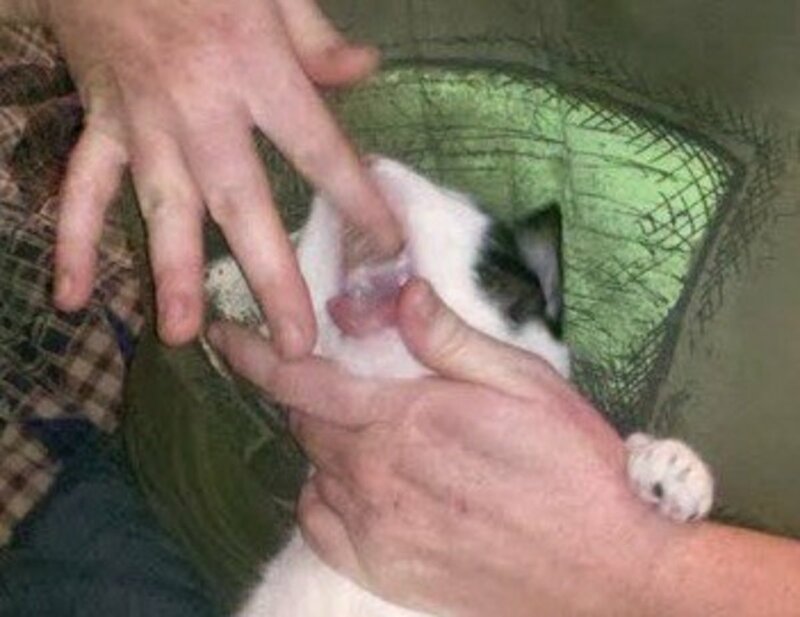 Gently open the cat's mouth by loosening the jaw with your thumb and forefinger. You should be gentle and not use force. The jaw opens easily in this position. 4.Wipe the canned food on the roof of the cat's mouth and allow it to lick and swallow for a minute. This method also works for nutritional paste or gel. It is important not to overfeed the cat, especially if he or she has been off food. Always speak with your vet about the best method for taking care of your cat. Cats not eating is an emergency situation. The body structure and digestive system of a cat makes sudden weight loss very bad for its overall health and well-being. If you do not want to make them eat using canned food, you can try a nutritional, high calorie gel such as Nutri-Cal. Many cats like the taste and will readily lick it off your finger or a spoon. 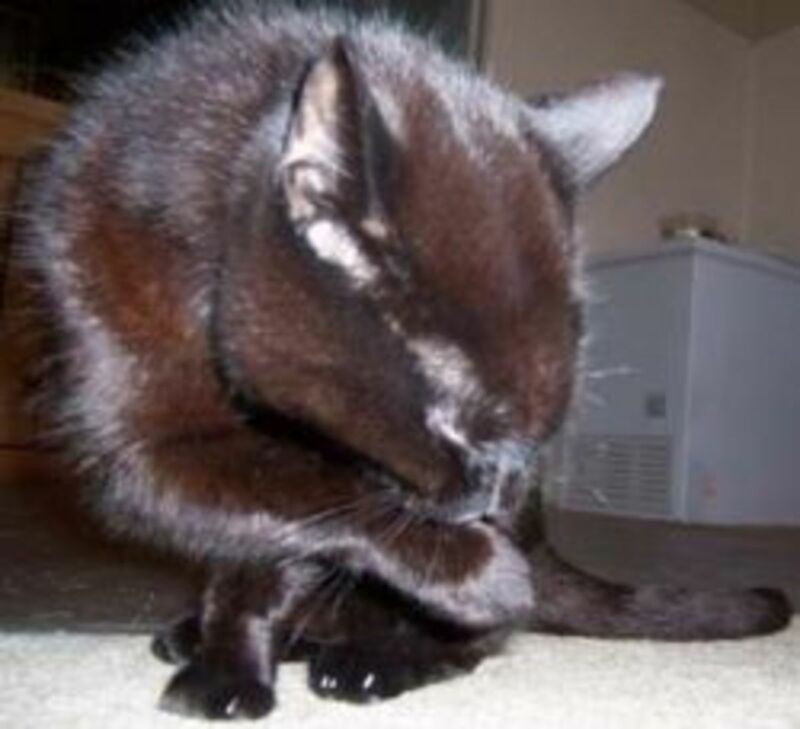 If your cat won't take it, you can use the above method to wipe the gel on the roof of his or her mouth. You can also talk to your vet about a feeding tubes. While the thought of a feeding tube is scary, it may be the only way to get nutrition into your cat. Some feeding tubes can be a temporary measure that will work until the animal gets better. Cats don't need to be off their food very long to develop dangerous complications. Cats may stop eating due to stress or illness. It is very important to get your cat to eat again as soon as possible. Try canned food or a high-calorie gel. Your vet can be a great resource for figuring out why your cat won't eat. Cats who are off their food can cause stress for the owner. 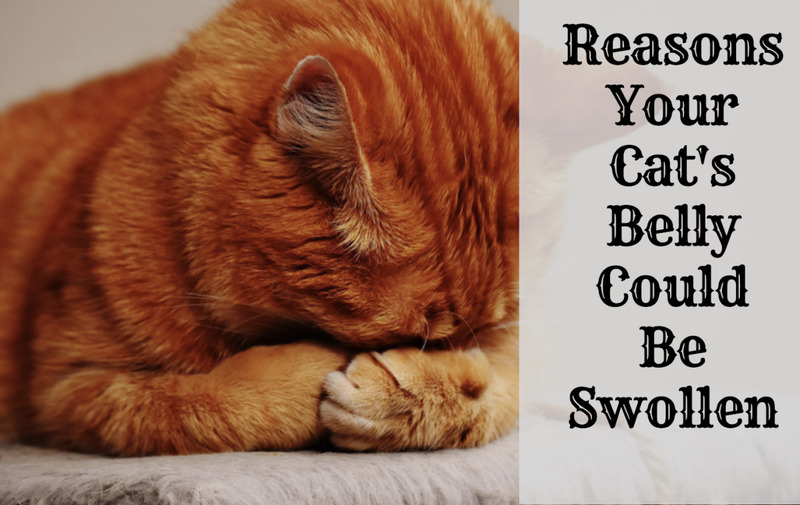 Sometimes, with a bit of attention and the right food choice, your cat will recover on its own and go back to eating and drinking regular amounts. It is important to treat this as a high priority situation and get your cat to eat again as soon as possible. Does Your Cat Feel Competition When Trying To Eat? Life: Feeding tubes can be life lines for ill cats. 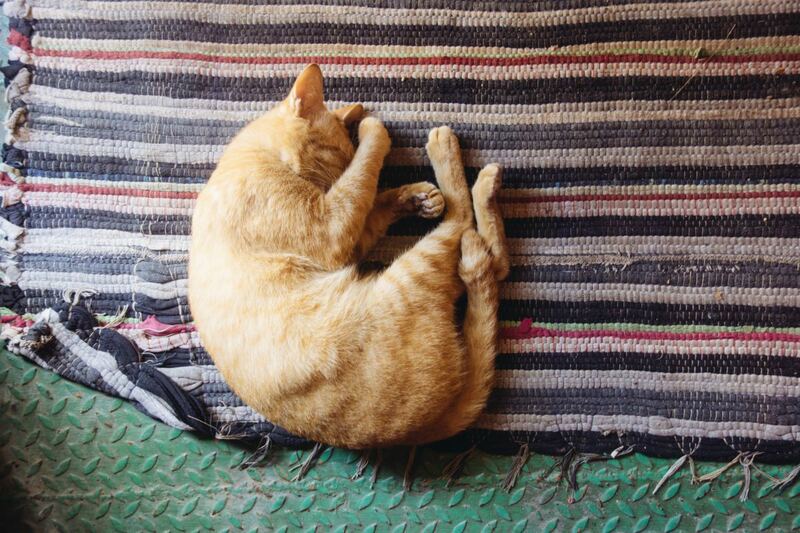 When your cat turns up its nose at its food, it’s not always typical cat behavior. A feline who doesn’t eat can be seriously sick. I adopted a five-year-old cat on Monday, who is also blind. She has hardly eaten since, but does appear hungry, but for some reason is not able to eat much. Why would my rescued cat refuse to eat, even when hungry? What should I do to help my cat to eat? Cats can be stressed whenever there is change. First, thank you for adopting. Second, you may need to give her time. If you can, leave some food for her in a quiet place where she can eat quietly. She is probably hypersensitive right now and needs time to adjust to the new sounds and smells or her household. You can also try offering some canned food. If she continues not to eat, take her to the vet. My cat had kittens about 5/6 weeks ago and they are just starting to eat soft food but will also still nurse. Out of the 4 kittens 2 of them still will not eat the soft food and haven’t tried it yet and I’m not sure why. They seem to be healthy and still run around and play. Should I be worried and force them or just let it happen on its own? It sounds like she is very sick. 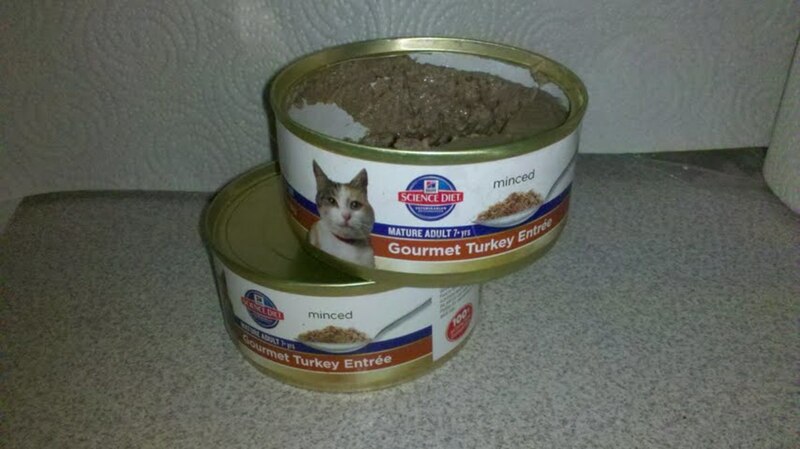 They do make a high calorie gel that you can get and put on the roof of your cat's mouth. At some point, unfortunately, if a cat is near the end stage of their life, they may stop eating altogether. You might call the vet again and see if they would like to see her. Yes, she is an incredibly good natured cat (and doesn't need to be fed with this method). She doesn't really mind whatever. 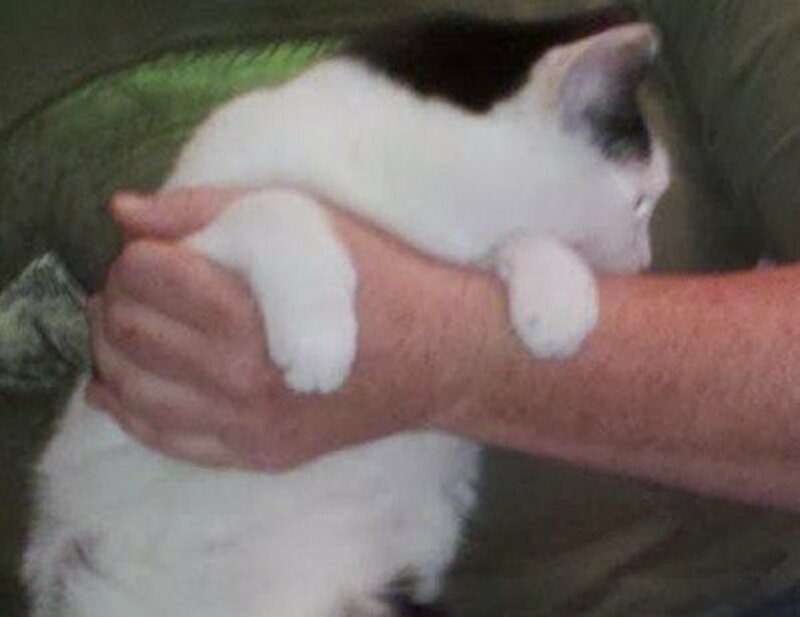 She was a kitten when my oldest was toddler and he used to carry her around everywhere so she became very good natured. Lindemann is an over-eater, but this is good to know for future reference. Did you use your own cat to model who to feed a cat? Thanks Peggy W. As my cats have aged, I have run into the problem a few times. In some cases the cat was able to recover and in others, the cat had a chronic condition but I was able to give them a few more months with us before they passed. Cats are so much worse about doing this than dogs. While we have never faced this situation and hopefully never will, this information is good to know. Thanks for writing this. Up and useful votes and will share.